*Save $10 off of the $35 or $50 monthly plan for up to 3 months. 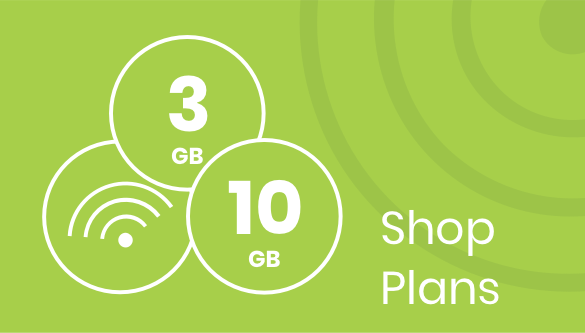 Add an additional 1 GB of data to your plan for $10 at any time during your billing cycle, and that data will carry over as long as you remain active on your monthly plan. With Access, you have the ability to buy what you need, when you need it - nothing more, nothing less. And you always have the flexibility to add more whenever you need to. Activate your account and phone by entering your device ESN / MEID. Select the plan that fits your specific needs. Already have a phone that you love? Bring it with you! Find out if your phone is eligible and get started today. In today’s world, staying connected is more important than ever, and with Access Wireless it couldn’t be easier or more affordable. Our low-cost, hassle-free, no-contract phone service lets you get the coverage you need, when you need it. Ready for better wireless service? Stop wasting money on data you don’t need! You deserve an affordable phone service from a company you trust. No hidden fees. No surprises. Just affordable mobile service that works. Access Wireless also serves the community by providing mobile phone service to income-eligible residents as part of the government-funded Lifeline Assistance program. Lifeline is intended to help individuals experiencing financial hardship stay connected to family members, schools and child care providers, as well as be reachable to potential employers and have a means of communicating in case of an emergency. Access Wireless provides customers with a free monthly allotment of minutes, text messages and data. .